Las Vegas, casino and bingo themed gift wrapping paper. Poker, blackjack, slots, roulette and dice designs. 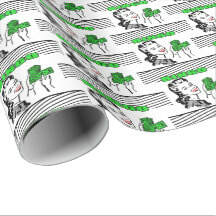 Shown below are the casino themed gift wrap designs available in the Dancing Cowgirl Design Store. There are unique designs for poker players, slot players, dice players and roulette players. The blackjack cards with poker chip print paper will be great for anyone turning 21 as well. Bingo cards, The Bingo Lady and Bingo Night designs printed on gift wrapping paper. Surprise a bingo lover with a very special package.